最近我和我的一个朋友专门调查了一下整个藏区的藏文水平. 我们很惊讶的发现西藏自治区的藏文成绩整个藏区里面最差. 因为在西藏自治区里实行一类模式教育的学校几乎没有. 这个一个非常严重的问题. 还有在拉萨的藏族大部分都喜欢到朗玛厅里面喝酒和跳舞. 关心民族文化和语言的人越来越来少. 藏文整体水平最好的地方是甘肃省甘南藏族自治州, 再过了青海黄南藏族自治州, 阿坝, 甘孜等藏族自治州. 倒数第几个是玉树, 迪庆, 西藏自治区. 从这个分析中我们可以看出西藏自治区对藏文和藏族文化的重视度. 还有很多优秀的孩子送到内地西藏班去的原因之一. 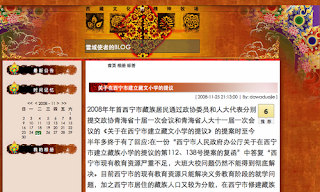 希望西藏自治区的藏族同胞多多重视藏文和藏族文化. 不要天天在舞厅里浪费时间. High Peaks Pure Earth has translated a revealing blogpost written by someone calling themselves "The Messenger of the Land of Snow" (Chinese: 雪域使者 xueyu shizhe) and posted on their blog on 25th November 2008. Interestingly, the petition begins by pointing out that a Tibetan language school existed in Xining even during the rule of Ma Bufang and the Guomindang. Isn't the Communist Party supposed to be more enlightened in promoting the "equality of nationalities"? (The blog author’s comment: for the sake of political stability and sustainable development of a harmonious society, the government should respect popular will and sincerely and carefully consider the basic cultural demand of the minority nationalities). the relevant departments of the government to actively co-ordinate and implement the Qinghai Provincial Government’s order to establish a Mongolian and Tibetan language school in Xining, and establish a Tibetan language primary school with compulsory education system where the study mainly focuses on the Tibetan language in Xining. But this wish has never been realized. Recently we learned from the media that Xining city is carrying out large-scale integration and adjustment to educational resources. However, it is a pity that the Xining City Tibetan Language School, for which many Tibetan residents have petitioned for many years, has still not been put on the agenda of the government, thus, we have to report to you again in this way. We hope the issue can be solved appropriately so as to satisfy the right to receive education of around 4,000 school-age children who are descendants of approximately 20,000 Tibetans in Xining city, and to ensure the compulsory education system will reflect the rights of equality among nationalities and among languages. 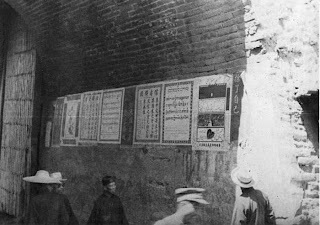 The Tibetan education of the earlier period in Xining city started during the Republican Period. In 1933 (the 22nd year of the Republican Period), the Tibetan and Mongolian Upper Strata members Lobsang Jamcho (blo bzang ‘jam chos, Tian En-yu) and A Fushou advocated establishing the Association of Promoting Mongolian and Tibetan Culture in Qinghai and in 1934 the Mongolian and Tibetan Primary School, as well as the Mongolian and Tibetan Middle School, were established. While Ma Bufang was the Director of the association and was concurrently the principal of the schools, Lobsang Jamchu was a member of the board of directors of the association and the deputy principal. Both schools offered the Tibetan language and culture courses. In 1939 Sangre Gyatso also came to Xining to be the Tibetan language teacher and was responsible for compiling the textbooks. Later, Sangre was the Director of the Education Bureau of Qinghai province and held other positions. There were over 600 students at the peak of the school. Many Tibetan and Mongolian cadres right after the liberation, including many old cadres alive now, were trained in this school. Social development has provided a good basis for solving the problem of Tibetan education and the Qinghai Provincial Government has long realized the necessity of establishing a Tibetan language school in Xining city. The Qinghai Provincial Government has always adhered to the Marxist principle of the equality of languages, ensuring the freedom of study, using and developing the minority nationality languages, and fully taking into consideration the importance and urgency of Tibetan language education in the Xining area. It has studied and weighed the situation, and it is far-sighted that in the last century it made the decision to set up a nationality language school in Xining. It proposed that the Nationality Committee of Qinghai Province, the Education Committee of Qinghai Province and the Xining Municipal Government should actively create conditions so as to jointly establish a 12-year Mongolian and Tibetan school (Document No. 5 issued by Qinghai Province in 1997 and document No. 26 issued by Qinghai Provincial Office in 1998). But due to various reasons, the order of Qinghai Province has not been carried out. With the strong demand of Tibetan compatriots in Xining City, some educational institutions in Xining City once tried to set up schools on their own, or tried to satisfy the children’s need for the education in the mother tongue through training at weekends. But because of various reasons, including the institutions not being run smoothly, insufficient funds, bad management or the system of moving on to the next level of schooling, it is unavoidable for the various schools or projects that they have tragically ended prematurely. 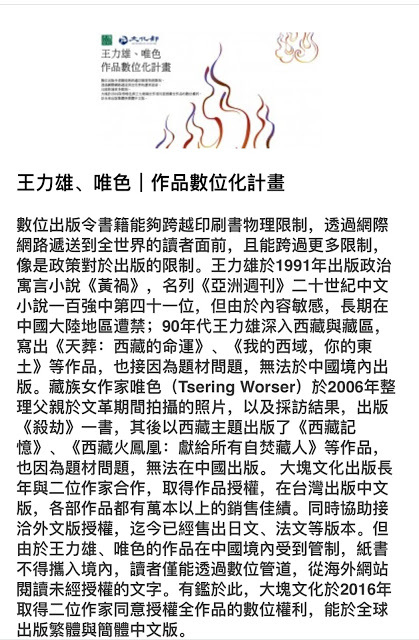 In response to the request of members of the Qinghai Tibetan Research Institute, the institute once attempted to establish a nine-year Tibetan language school non-governmentally but we do not know the reason why it has not received permission from the Xining Municipal Education Bureau. The Tibetan population in Xining city has increased drastically in the recent years and there are more and more Tibetans whose first language (mother tongue) and whose main language of communication is Tibetan, thus, there is an acute conflict between the increase of the Tibetan population and the fact that the education of the Tibetan children in their mother tongue is not guaranteed. At present there are approximately 200,000 Tibetans in Xining city and if we count at a ratio of 1,536 pupils or middle school students for every 10,000 people, there should be over 30,720 pupils and middle school students. If we estimate that over 60% of the Tibetan population has Tibetan as their first language, then there would be over 10,000 Tibetan children whose first language is Tibetan. In addition, there are another 40,000 Tibetans, including cadres who retired with special honors or who retired and are living in Xining city, traders and other temporary residents, the floating population and peasant workers. It is a conservative estimation that the number of Tibetan children alone reaches over 10,000. Therefore the Xining area has the characteristic that the Tibetan population lives in a comparatively concentrated area and there are many school-age children. In the entire Xining area, except the Tibetan language school in Sanmenxia area of Datong (gser khog) and Qiongjia area of Huangzhong (ru shar rdzong) county respectively, most urban communities or villages do not have Tibetan language schools, furthermore, there is not one Tibetan language school higher than primary school level. But the Tibetan population in Xining city has continuously increased, and the population of temporary residents and the floating population of farmers and nomads have increased sharply. In terms of the population, the Tibetan population in Xining City far exceeds that of Haibei (mtsho byang) Tibetan Autonomous Prefecture and Haixi (mtsho nub) Mongolian and Tibetan Prefecture. The right of many Tibetan children to receive education in their mother tongue has not been guaranteed. Meanwhile, in Xining, the capital of Qinghai Province, all Tibetan prefectures and their subordinating counties have built quarters for retired cadres but there is no condition to have Tibetan language education inside and outside the community. The lack of nationality education, especially the fundamental education of Tibetan language, has become an increasingly prominent problem in Tibetan society and it also has an impact on the great situation of the unity, progress and harmony among nationalities. Only if a Tibetan language primary school with compulsory education system is to be established in the capital Xining, can the acute conflict between the expectation of the basic education for the urban Tibetan population and the lack of the Tibetan language education be solved. At present, Xining City definitely has the ability to invest in setting up a Tibetan language primary school so as to satisfy the Tibetans’ need for basic education. Before the reform and opening to the outside world, or even a few years ago, Xining City and even the entire province was always in a comparatively backward state with an under-developed economy, and the investment in public facilities and projects was rather limited. In addition, it also lacked funds and ability to solve all the problems concerning Tibetan education in the urban area. With the development and improvement of the society, the social economy of the entire province and the entire city has continuously developed, and Xining City’s investment in the basic education has continuously risen, for instance, annual investment in the educational undertakings in 2005 reached 2,031,320,000 Yuan. But up to now, Xining City government has not built or does not have the intention to set up a Tibetan language school starting from primary school in Xining. 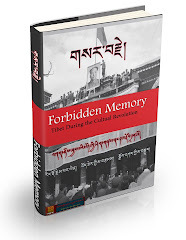 The plan to build a Tibetan language school has never been placed on the agenda of the various governments and we can not help but view this as a regrettable matter! From the perspective of the degree of the social economic development and the educational investment, the condition for Xining City to completely solve the problem of basic education for Tibetans and to guarantee the Tibetans’ right to receive education has fully ripened. It has sufficient ability to do so, and measures should be taken. Basic Tibetan education is needed to improve the thinking ability of Tibetan children, to improve the overall quality and to ensure social harmony. Language is the important marker for a nationality which reflects the spirit of a nationality. Meanwhile, besides universal principles, language also has evident national characteristics, and it is a main vehicle for reflecting national culture. The right to receive language education is one of the basic rights for survival and development. In theory, offering Tibetan language courses targeted at the Tibetan children whose mother tongue is Tibetan, is closely related to the improvement of the cultural quality of all the people and a reflection of the degree of civilization of a society. It is also beneficial to the full development of the logical thinking of Tibetan children, the effective improvement of their cognitive ability and it is also helpful for one to learn the second language, Chinese, and foreign languages. In any country, the issue concerning one’s right to the education of the nationality language is related to the inheritance and continuity of the national tradition and the national culture, and any nationality has the right to receive education in one’s national language. Judging from the overall national trend, The Yanbian Korean Autonomous Prefecture has implemented the national education policy, which emphasizes both Korean, Chinese, and foreign languages and Inner Mongolia has also maintained that “none of the mother tongues, Chinese or English is dispensable”. They have all provided valuable experiences for the development of national education and the improvement of the overall quality. However, except Sanmenxia primary school of Datong County and some primary schools in the villages of Qiongjia Township have Tibetan language classes, so far none of the district or counties under the jurisdiction of Xining County has a Tibetan language school which conforms to the Tibetan children’s mother tongue and satisfies their need to learn culture. The issue concerning over 10,000 Tibetan children receiving education in their mother tongue has become a social problem which worries most people. We propose to establish Tibetan language schools targeting the city and its surrounding areas, to improve the comparatively more advanced mother tongue education system within the region, to scientifically foster and develop the children’s language and thinking. We also advocate to fully improve the children’s level of intelligence, to strengthen national unity and to promote the goal of social harmony through ensuring the harmony of languages. We sincerely hope you will formally respond to our suggestions!